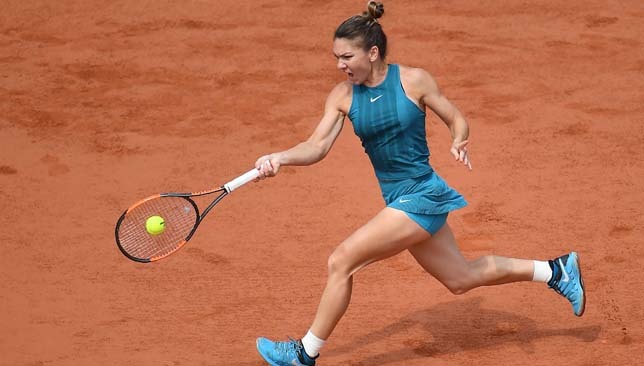 Simona Halep is not letting a herniated disk overshadow what has been a dream career-best season for her and she already has her eyes on further success in 2019. The Romanian secured the 2018 WTA year-end No. 1 ranking presented by Dubai Duty Free for a second straight year, but this time, she has a Grand Slam title under her belt. Last season, the top spot switched hands seven times before Halep finished the year on top. Entering the 2017 WTA Finals in Singapore, seven of the eight women in the field could have walked away with the No. 1 ranking. This year has been a different story though. Halep has maintained her position at the summit for the whole year, barring the four weeks she was replaced by Caroline Wozniacki after the Dane won the Australian Open in January. Halep’s peers are not surprised by her stronghold on the top position this year, and neither is she. “I’m not surprised because I feel like I played a good level of tennis and I was very consistent. I made two finals at the Grand Slams, I made a few finals, I won two more tournaments, I felt that I was very consistent and very strong, also mentally and physically. I’m not surprised at all, I just want to be happy about what I’ve done and to enjoy the moment because for sure it’s the best one,” said the 27-year-old. Halep picked up three titles in 2018, in Shenzhen, Roland Garros and Montreal, and she lost three finals at the Australian Open, Rome and Cincinnati. She has won 46 matches and lost 11 and leads the tour in percentage of return games and return points won for the season. Last year, Halep missed out on clinching the No. 1 ranking when she lost the French Open final to Jelena Ostapenko. She had another opportunity slip past her when she lost to Johanna Konta in the Wimbledon quarter-finals, then again when she fell to Garbine Muguruza in the Cincinnati final. She eventually rose to the top for the first time in Beijing on October 9, 2017. She’s held onto it since, with the exception of the aforementioned four weeks. The best and biggest trophy of my life in Paris, yoga in Bucharest and downtime in the Bahamas! On Monday, Halep began her 50th week at the top of the world rankings, which means she has spent more time as No. 1 than players like Maria Sharapova (21 weeks), Amelie Mauresmo (39 weeks), and Kim Clijsters (20). “It means a lot because as I was growing up, these girls were my idols and were my models for the future, to be like them or to try to be like them, they inspired me all the time. So to be there it means a lot and gives me a special thought about it and gives me confidence that I was able to do something huge in tennis and it makes me proud to be honest,” says Halep of eclipsing such stars of the game in that category. Looking ahead to next year, one would think that scooping more majors would be on top of Halep’s priority list but her main goals are a bit different than the typical bucket list. “For the next year, I would love to win Rome because I have already two finals there and it’s one of my favourite cities. So I really wish I will be able to win it and of course to win as much as possible in Fed Cup. Those are my two goals for next year,” asserts Halep. With her participation at next week’s WTA Finals hanging in the balance, Halep is still hoping she can make it. If she does, she’d be the only player to qualify and compete at all five editions of the season finale staged in Singapore, before the event moves on to its next home in Shenzhen in 2019. “I’m really proud and it’s amazing I could do this. I really hope to be able to play this year also. It’s amazing I could qualify for Singapore all five years. Actually when I first came to Singapore in 2014 my brother told me, ‘if you’ll be these five years in Singapore, you can retire’. It’s pretty amazing. I won’t retire but I will keep this as one of the best things that happened to me in tennis,” she says. Simona Halep has secured the 2018 WTA year-end No. 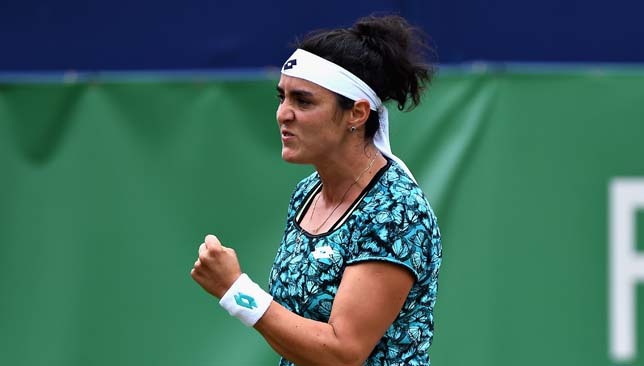 1 ranking presented by Dubai Duty Free but her season could still end on a sour note as the Romanian admits her back injury could keep her out of next week’s big finale in Singapore. Halep suffered a back problem during a practice session with Petra Kvitova in Wuhan last month and after losing her opener to Dominika Cibulkova there, and retiring while down a set to Ons Jabeur in Beijing, the world No. 1 found out that she is suffering from a herniated disk. Following nearly two weeks of rehab, and going through 90 minutes of specific lower back exercises each day to strengthen the area around the injury, Halep is now in Moscow where she is the top seed at the Kremlin Cup, hoping to test out her back ahead of the WTA Finals in Singapore. Halep initially entered Moscow as a way to be better prepared for the WTA Finals. She is the only player to qualify for all five editions of the season finale in Singapore but she only made it out of the group stages once, on her debut back in 2014. She thought matches in Moscow would give her a better build-up for Singapore but now that she’s injured, her participation in both tournaments is in serious doubt. “I still have problems with my back but I worked really hard the last two weeks, since Beijing, to make it stronger and to actually keep this problem because it’s really tough. I haven’t practiced 100 per cent yet, but today and tomorrow I will do close to 100 and I will be able to know better the next day,” Halep told a small group of journalists during a conference call from Moscow on Sunday. “The doctor told me that there’s nothing about surgery but if I keep playing there’s a risk of long-term injury, so I don’t need that and I don’t want that, and I have to make a good decision in the next days. “I worked really hard, I feel better but during play, during the game it’s tough because you cannot control every movement so it makes it more difficult. While other players on both the women’s and men’s tours – like Maria Sharapova, Andy Murray, Serena Williams and others – have pulled the plug early on their seasons to be better prepared for next year, Halep is reluctant to do the same and insists on giving herself every possible chance to compete in her last two events. “It’s been very stressful and I was worried every day because I was waiting to see how I feel, every morning I wake up,” she concedes. Asked why she feels the need to keep trying, and potentially risking further injury, when she’s already had a fantastic season and has secured the year-end ranking, Halep said: “Because I never gave up until I felt that I touched the limit. I like to give myself another chance every day. I realise how bad it is everyday and I’m trying just to keep the limit there, to be able to know it, to feel it. Halep, who starts her 50th week as the world No. 1 on Monday, has been one of the most consistent players on tour for the past few seasons. It something that has particularly helped her this year as she managed to stay clear of the chasing pack behind her in the rankings. But that consistency has come at a cost and she admits she finds it hard sustaining a high level during the closing stages of the season. “It’s really difficult and I feel it every year and I feel it more and more. I give everything I have the first part of the year and then Asia is a bit difficult for me to play and then Singapore, because it’s the last tournament. So my goal for the next years is to be better in this position, if I’m able to qualify once again for the Finals, I want just to be better and ready to play that tournament,” said the 27-year-old. Could a revised schedule possibly help her avoid running out of steam at the end of the year? “Well, I played 15 tournaments this year so less than this is really impossible. I didn’t play many tournaments, but I played many matches and tough matches. Melbourne was incredible and I was struggling after that for a few weeks. So I would take this year, 100 per cent, it doesn’t matter if I’m tired at the end of the year,” she says. * Simona Halep has secured the 2018 WTA year-end No. 1 ranking presented by Dubai Duty Free for a second consecutive season. She is also a Dubai Duty Free ambassador.